Belly Armor – prenatal paranoia or clever concept? I am going to sit on the fence with this one. In fact, I might even lean to one side as I am prone to a touch of cynicism so I would love to know what you think of this product. Belly Armor is either a blanket or a t-shirt for pregnant women which is said to shield your growing foetus from any possible harmful effects of radiation. 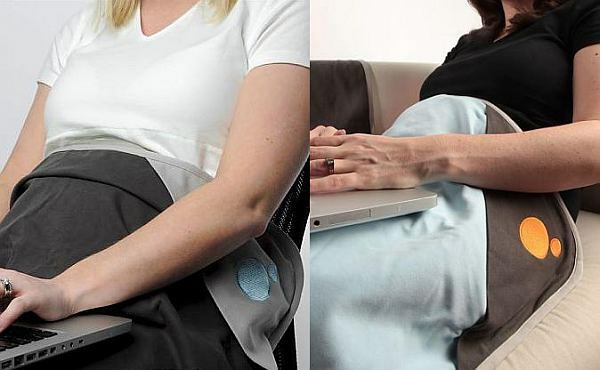 The idea is to drape the blanket over your bump if using a laptop, or go the whole hog and wear a tee everyday to shield your bump from everyday radiation. Essentially, it is designed to create a lightweight textile barrier between bump and electromagnetic items like laptops and phones. 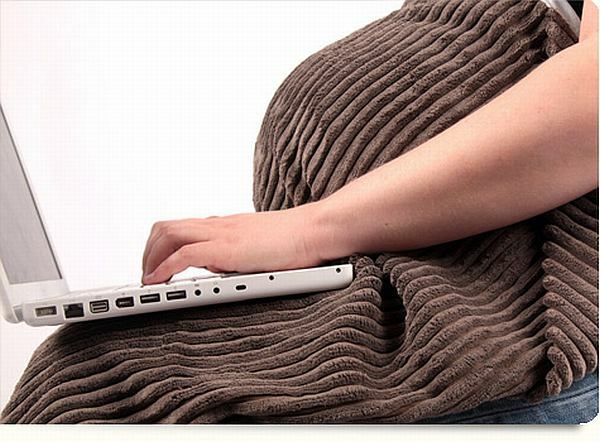 The Belly Armor Belly Blanket costs US$69 and the Belly Tee costs US$59, plus shipping. I guess it all depends on whether you believe that the developing foetus can be affected by environmental radiation. I’d love to know what you think – scaremongering or better safe than sorry?